Eat it to be healthy and store it to be wise Our hemp protein powder is real body armor and will feed your body the nutrients it needs. Does not contain chemicals or THC is NON-GMO and 100% gluten free, burns fat, builds muscle. Eating our hemp protein powder will kill the desire for junk food cravings so you can develop a slim powerful healthy body. Nourishes and helps clean all body organs. May be used as a replacement of all other protein. 1-3 Tbsp per day in milk, smoothies, juice or any other liquid. Sprinkle on yogurt, hot or cold cereals, soups and salads. Great for breads, muffins or any type of baked goods. 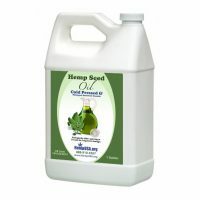 INGREDIENTS: 100% ground Canadian Hemp Seed HempUSA.org offers three different sizes, one pound, two pound and five pound containers at the lowest price available on the internet. Cold milled protein powder from raw hemp seeds Naturally grown, raw, cold-processed, vegan, non-GMO, kosher, gluten-free, soy-free and dairy-free. Source of omega 3 and 6 essential fatty acids, plus all ten essential amino acids Product of Canada; also contains important enzymes, vitamins, minerals, antioxidants, and phytonutrients. Our hemp 33% protein powder is a baker’s delight! Plant-based and naturally gluten-free, it is a versatile and flavorful protein alternative for vegetarians, vegans and people with gluten-intolerance. A 32 gram serving (four tablespoons) of hemp protein provides 33% protein ; 14 grams of dietary fiber, more than 15% of the RDI for Vitamin B6 and folate; and more than 25% of the RDI for copper, iron and zinc. 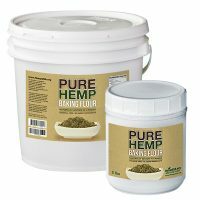 e recommend a ratio of 1/3 hemp protein powder to 2/3 regular flour for baking recipes. This food product is GREAT for expectant mothers!! 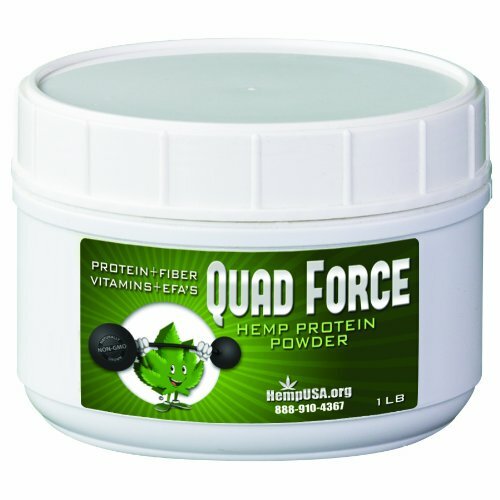 I replaced my whey protein with 1 scoop of the quad force and one scoop of hemp protein powder. Very satisfying and curbs my appetite, I have good energy and recovery from gym and work. Excellent stuff I wish I found it and have been eating it sooner! This an amazing product! No filler, no bs, just pure high octane health food. Next to egg whites, this is my biggest source of protein. If I had to describe how I feel after a month of use: it’s a clean feeling. I feel full, satisfied, energetic and not weighed down by extraneous nonsense that plagues most protein products. Give it a try! Great Product! My family deals with less food cravings and long lasting fullness after taking it the first time. I experience an immediate cleaning out process. My wife no longer craves sweets while taking it daily. Increased energy and great for pre workout or post workout filler. We love it and will buy more. Just add a scoop to organic almond milk. Great product, I recently tried this product when my aunt ordered it from hempusa and she loves it so do I. The QuadForce protein is by far one of the best protein products I have experienced. 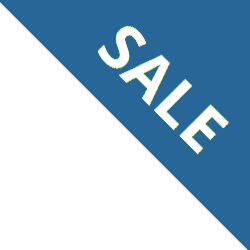 I am a group fitness instructor and personal trainer with my own company. I’ve done some amateur bodybuilding in the past and I am considering doing more competitions in the future! It was my intention to choose a few products and stick with them based on the results I achieve. I received the QuadForce quickly (love that!) I originally ordered the one pound container and loved it so much I ordered the five pound container. After the third day or so I immediately noticed a difference in my rate of recovery after my strength training sessions. I am usually fatigued…no…”knocked out”, is a more accurate description. I usually consume the product within 1/2 – 3/4 hour after my workout. I noticed that I felt more alert within ten minutes of consuming the product. That is not usually the case with other products I have taken in the past….typically it took twenty to thirty minutes. I was just noticing today that my legs feel stronger especially going up and down the stairs. Over all I have definitely put on some muscle. I have been taking the QuadForce for a little less than two week as well. I am scheduled for a bodyfat analysis later in the month to assess my lean muscle gain and fat loss. I will keep you posted about my improvement. Much Thanks and Be Well! I started giving the Hemp Protein powder to my 95 year old mother; so after 3 weeks she has more energy and less pain in her back. This is fantastic! This arrived quickly and I noticed improvement in my bowel movements after 3 days. Great product! I tried many protein products before and this is by far the best.